Head to Lightning Ridge Opal Mines and Koko Blackfor plenty of shopping. Museum-lovers will appreciate Melbourne Museum and Immigration Museum. Change things up with a short trip to Werribee Open Range Zoo in Werribee (about 32 minutes away). Dedicate the 2nd (Fri) to wine at some of the top wineries in the area. 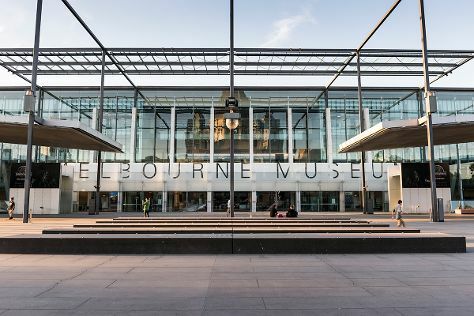 The adventure continues: wander the streets of Melbourne Central, stop by Readings Book Shop, admire the natural beauty at Royal Botanic Gardens, and tour the pleasant surroundings at Melbourne Zoo. To find where to stay, traveler tips, ratings, and other tourist information, use the Melbourne trip planner. Use the Route module to find suitable travel options from Singapore, Singapore to Melbourne. Traveling from Singapore to Melbourne, you'll lose 2 hours due to the time zone difference. Expect much colder temperatures when traveling from Singapore in August; daily highs in Melbourne reach 17°C and lows reach 6°C. Finish your sightseeing early on the 2nd (Fri) so you can travel back home.